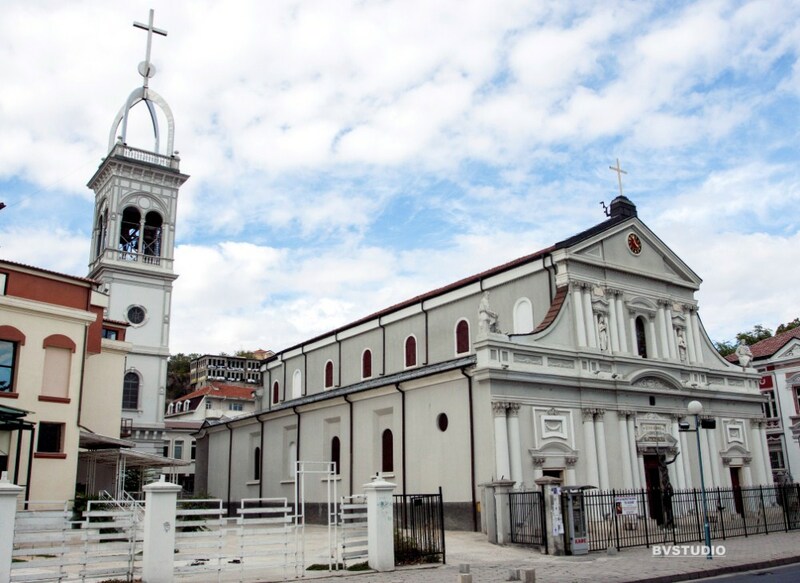 "Saint Lyudvik " Catholic Temple - It is situated in the central part of the city, diagonally to the Orthodox Temple of St. Petka, 3 Knyaginya Maria –Luiza Boulevard. The church was built by the famous master from Bratzigovo, Ivan Boyanov, who had combined quite successfully his skills of a revival builder with the requirements of the Order of Friars Minor Capuchin. The project of the Italian architect, Alfonso, resembles The Roman three-domed basilicas. 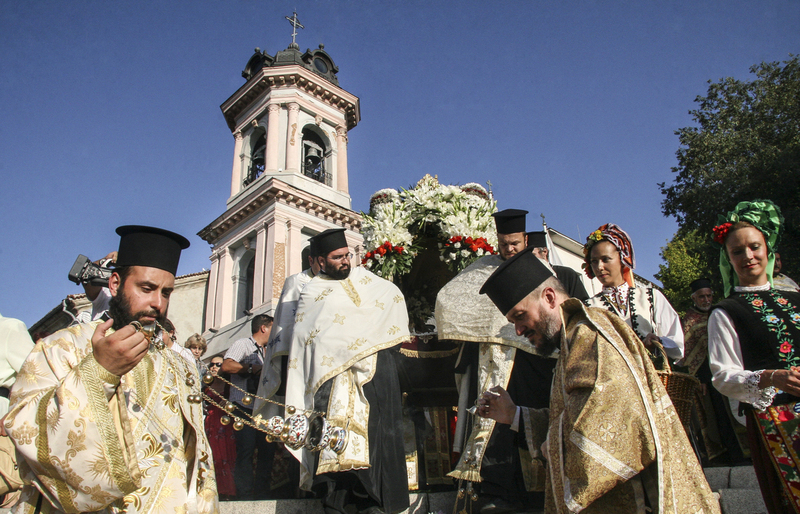 Princess Marie Louise of Bourbon, the Bulgarian Royal Princess and wife of Prince Ferdinand was buried in 1899 in this largest Catholic Cathedral of Plovdiv. The church tower of "Saint Lyudvik" was built with funds of Pope Leo III in 1902. Dzhumaya Mosque – It is a central Muslim temple in the city. 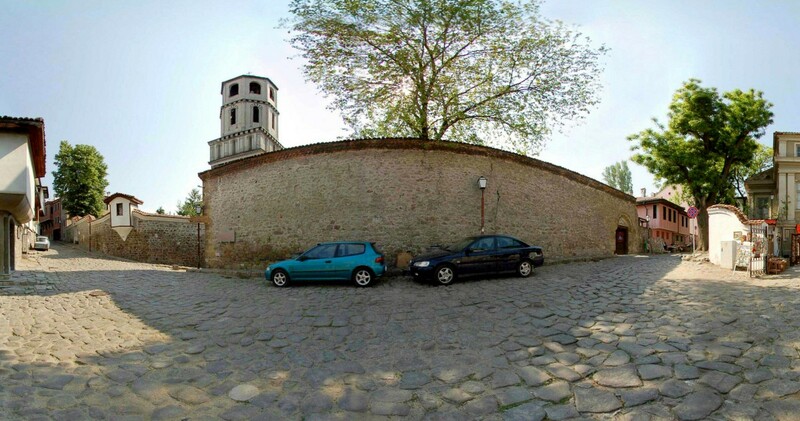 It was built in the time of sultan Murad II (1421 - 1451) on the place of a destroyed church devoted to Saint Petka Tarnovska. 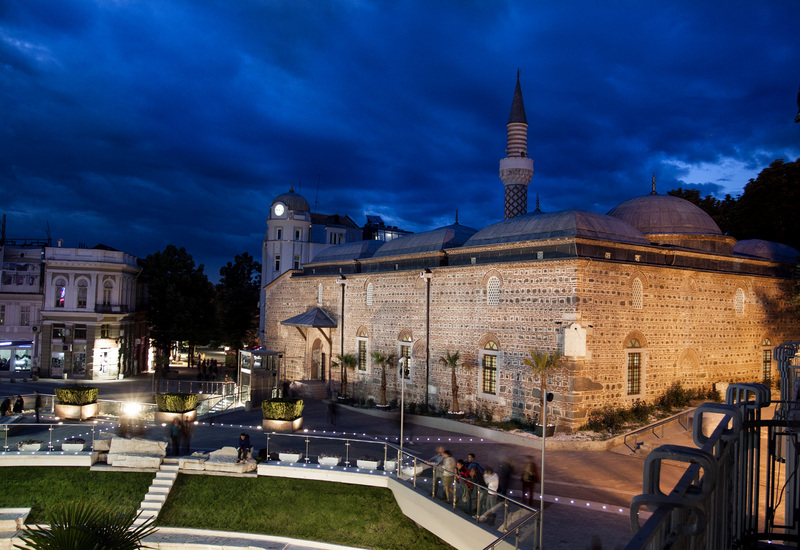 It is one of the oldest Ottoman religious constructions on the Balkans. The building is performed in the so called “cellular construction”, which suggests the influence of the Byzantine Medieval building technique. The hall for prayers measures 33 to 27 meters. The roof contains nine vaults covered with lead. In 1878 a sun-dial was placed on the south-west corner of the forefront. It was endowed by a Russian army officer. 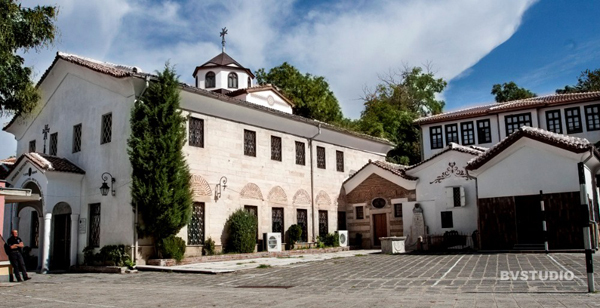 Armenian Apostolic church “Saint Kevork” - It was built in 1828 by Armenian masters from Asia Minor. 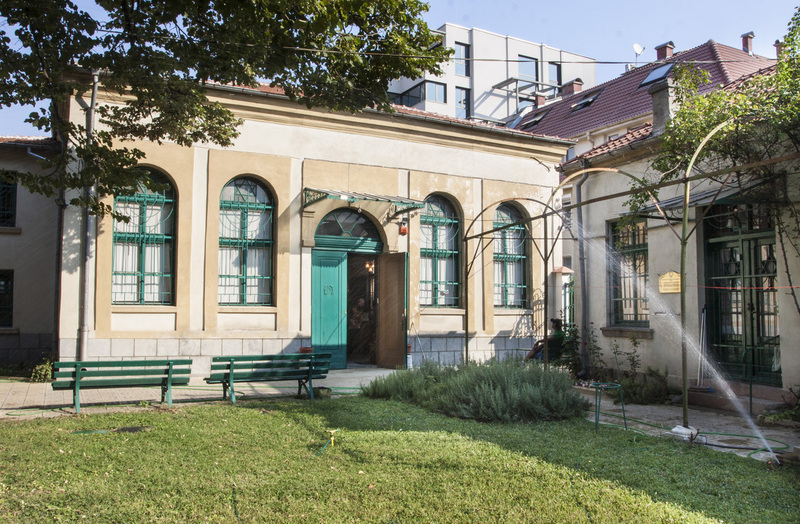 It is located on 2 Tourist Street, Plovdiv town. There are two chapels near this temple – “Saints Bartholomew and Thaddeus” and “Saint Stefan”.